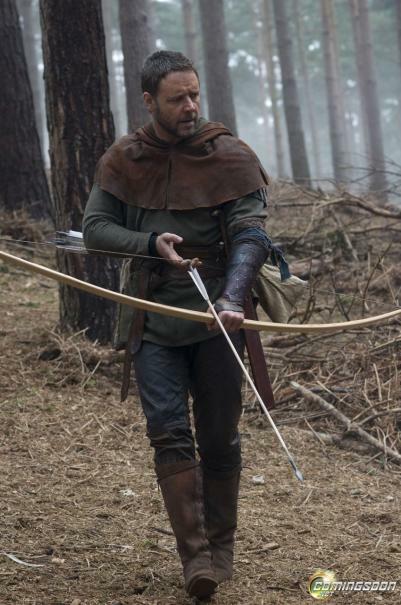 Oscar winner Russell Crowe stars as the legendary figure known by generations as "Robin Hood," whose exploits have endured in popular mythology and ignited the imagination of those who share his spirit of adventure and righteousness. In 13th century England, Robin and his band of marauders confront corruption in a local village and lead an uprising against the crown that will forever alter the balance of world power. And whether thief or hero, one man from humble beginnings will become an eternal symbol of freedom for his people. 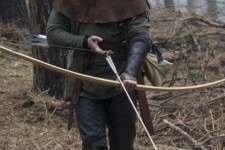 "Robin Hood" chronicles the life of an expert archer, previously interested only in self-preservation, from his service in King Richard's army against the French. Upon Richard's death, Robin travels to Nottingham, a town suffering from the corruption of a despotic sheriff and crippling taxation, where he falls for the spirited widow Lady Marion (Oscar winner Cate Blanchett), a woman skeptical of the identity and motivations of this crusader from the forest. Hoping to earn the hand of Maid Marion and salvage the village, Robin assembles a gang whose lethal mercenary skills are matched only by its appetite for life. Together, they begin preying on the indulgent upper class to correct injustices under the sheriff. With their country weakened from decades of war, embattled from the ineffective rule of the new king and vulnerable to insurgencies from within and threats from afar, Robin and his men heed a call to ever greater adventure. This unlikeliest of heroes and his allies set off to protect their country from slipping into bloody civil war and return glory to England once more.